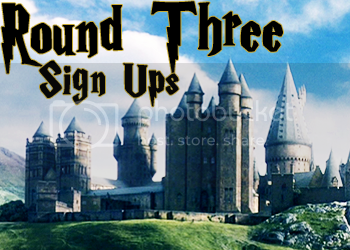 There is only two days left to vote for the Harry Potter Alliance to win $250,000. It only takes 15 seconds to vote and support this charity that has grown directly out of our fan community. Right now we're like Harry at the end of book 7 when he's at King's Cross. We have to decide whether to keep fighting or move on. Please keep fighting, every single vote counts! A Harry Potter icon challenge community - All characters welcome! Rare Sirius Black Azkaban Prison Shirt - $4.50 STARTING BID! I'm here to introduce a brand new drabble contest community! This Drabble Contest Community is based off of the idea of inter-house relations. Every week there will be a new pairing and new prompt. Interested? Come check it out. THE FIRST PROMPT WILL BE UP FRIDAY, FEBRUARY 20TH! The final battle was not the end. It was only the beginning of a state of anarchy. When Harry defeated Voldemort, the Wizarding World was left with no one to lead. People naturally assumed Harry would take charge, but Harry wanted no part of it. He’d accepted his destiny and he was ready for a normal life. No one was comfortable trusting the Ministry of Magic now despite their attempts to get everything under control. Order was restored at Azkaban, but so far, that was all that the Ministry was capable of doing. Many of the Deatheaters had been forced to go underground and determine a new plan to rule and continue to purify the Wizarding race. However, other Deatheaters have denied allegiance to the Dark Lord, saying that they were under the Imperius curse, similar to the last war. The few that were captured and imprisoned were left to the Dementors. The general Wizarding community attempts to rebuild. The deaths were numerous; including Mad-Eye Moody, Rufus Scrimgeour, Vincent Crabbe, Dobby, Hedwig, and Tonks. Remus Lupin and Fred Weasley were severely injured but after some time at St. Mungo’s managed to survive. Everyone was affected by the war in some way. Many people lost loved ones, but businesses and homes were also destroyed. Hogwarts was almost completely in ruins and is only beginning to be rebuilt. The students are being taught in homes or have moved to attend other schools until Hogwarts can rebuilt. Many people are broke and re-establishing their businesses for those who have the money. Voldemort may be dead, but the cause is not. In the Dark Lord’s wake, the Wizarding community is left in shambles. His death was not the end, but the beginning of an era of uncertainty, reconstruction, and turmoil. Come check out Scar of Conquest, an unrated, anything goes RP Soap Opera! Het & Slash friendly. We’ve been open for 2+ years and are currently revamping. We will be mostly canon from DH (with a few exceptions). No OCs are allowed, but there are lots of characters to choose from. If you're a novice or experienced player, you'll fit right in. Players must be 18+ years old. Mature themes and dark themes exist within this RP. Interested? Application can be found HERE. Fill it out and E-mail it to us at Scarofconquest@gmail.com. If this is not allowed please delete! Hello. My friend and I have just created a new Harry Potter Rating community and we'd love it if you'd like to check it out and join. Interested? Application can be found HERE. Fill it out and E-mail it to us! When the Muggles find out about the existence of wizards the wizarding world is thrown into chaos. Muggles are hunting the wizarding community down. Can they remain hidden forever? Or will they have to strike back and fight for their very lives? Factions have formed on both sides of the divide and are ready to do battle. We're a brand new rpg, but with experienced, friendly mods. Come and join the fun! 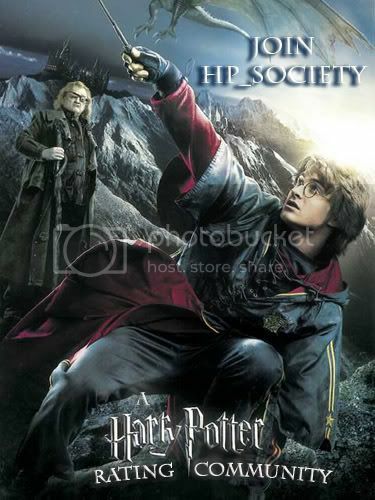 We are looking for most main characters including Harry Potter so come and snap up your favourites. We encourage everyone of all ability from all around the world to come and take part.